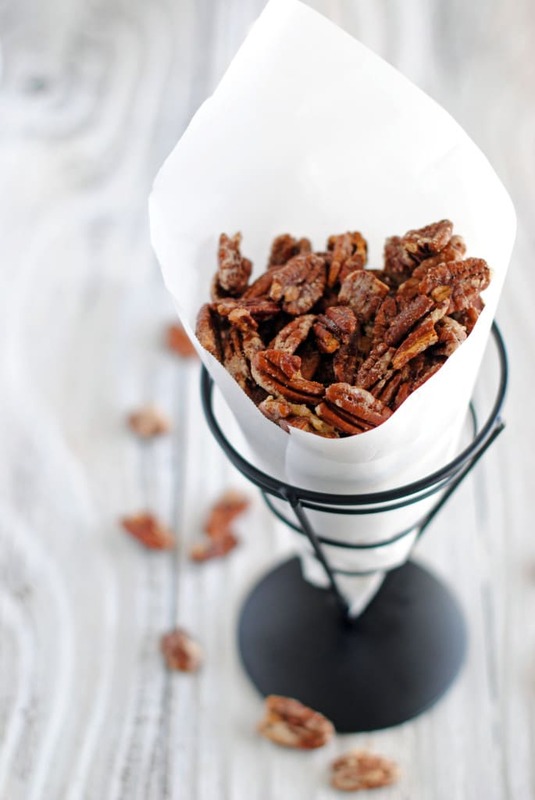 Get ready to make a double batch of these Candied Pecans. 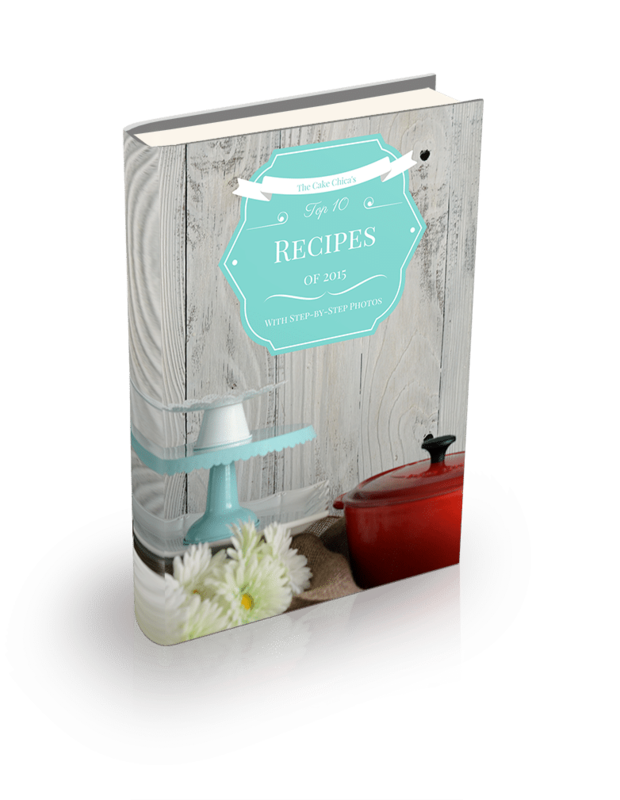 They are that good, and easy to make so why not make a triple batch? 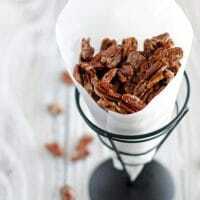 I use these Candied Pecans in my cakes and pancakes but they are also great all on their own. Just try not to eat them all in one sitting. Adjust an oven rack to the center of the oven and heat oven to 325 degrees. Line a baking sheet with parchment paper or a silicon mat. 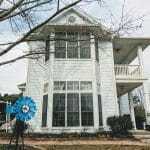 Place egg white in a medium bowl and add pecans. Stir to coat. Sprinkle sugar over nuts and toss to coat. 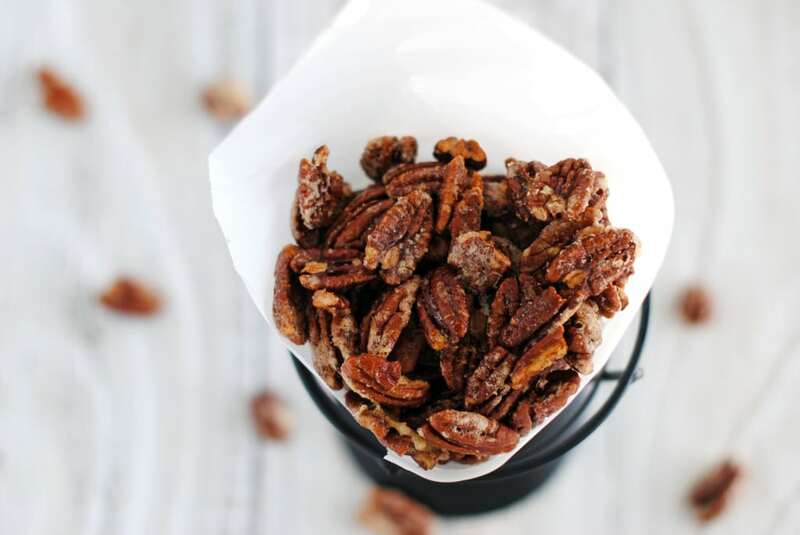 Spread the pecans in an even layer on the prepared baking sheet and bake for 20 to 25 minutes, stirring twice while baking. Cool completely and store in an airtight container at room temperature for up to 1 week. You’re welcome! Thanks for stopping by Amy!